From corporate giants to small mom & pop shops, many ecommerce store owners are turning to free open source ecommerce platforms. The tools needed to sell online don’t come cheap. But using open source software can delete at least one monthly fee. Plus you’ll have greater control over your online presence. Some of today’s most popular carts are open source solutions, including the most widely-downloaded and used platform on the web – WooCommerce. If you’ve got the tech skills and time to play with CSS, HTML, and even Ruby on Rails while hanging out in code forums, you’re probably the right candidate for an open source ecommerce platform. And if you don’t have the time but you do have the funds and desire to hire someone who can manipulate almost every aspect of your ecommerce site, you might also be interested in open source ecommerce platforms. Before you dive into this list, please keep something in mind – we know open source is not for everyone, and only a handful of these platforms meet our standards. There’s definitely a steep learning curve to if you want to build an online store without hiring web developers. If you’re looking for an ecommerce platform, but not committed to the idea of open source, please check out our post on the top ecommerce platforms. 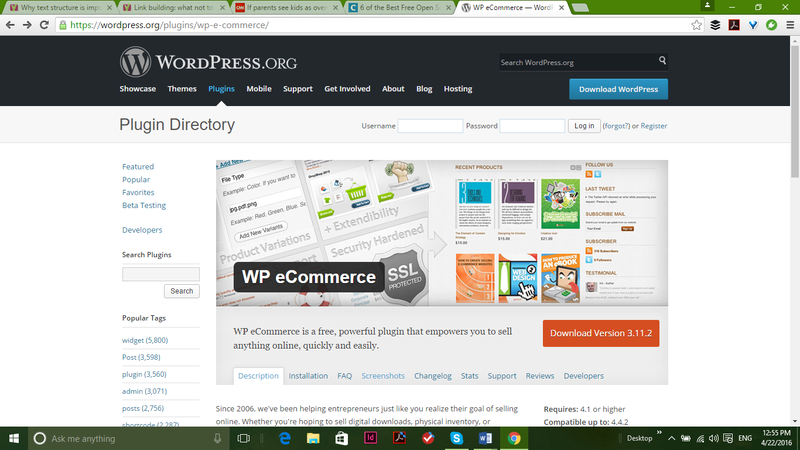 Proud to power over 37% of online stores, WooCommerce has been downloaded 14,095,679 times. 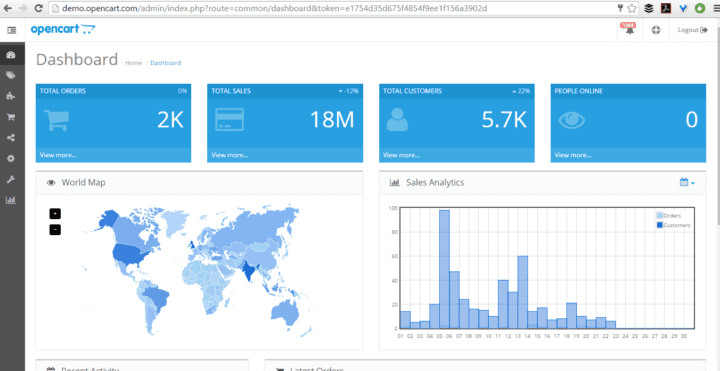 It is by far the most popular open source ecommerce solution available. Built to help users turn any WordPress site into an ecommerce store, this ecommerce solution was created by the equally popular WooThemes. 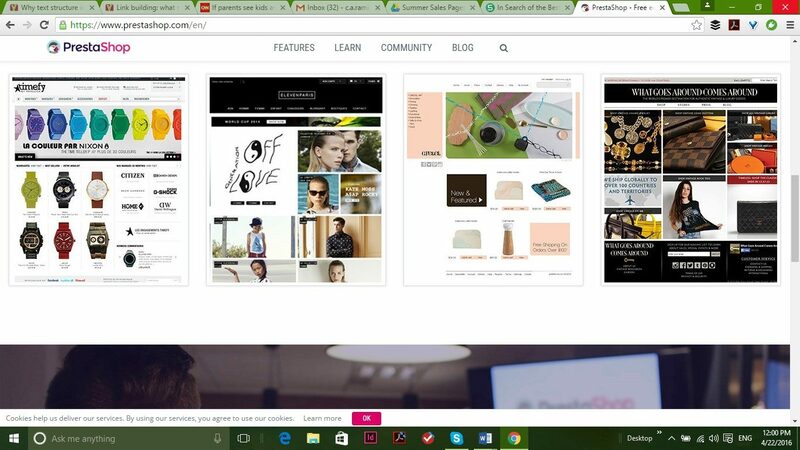 When it comes to content, WooCommerce is the best cms for ecommerce. Unfortunately, as you start looking at more complex features with WooCommerce, you’ll see a price tag attached. The same is true of support – it comes in the form of a purchased product for this solution. On the flip side, WooCommerce scales beautifully and as a result is a frequent ecommerce platform choice for large enterprises, although it works just as well for small and medium shops. X-Cart is a solid open source platform. 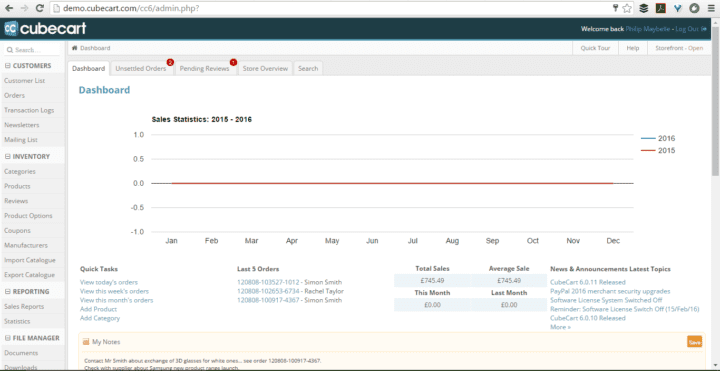 This PHP shopping cart offers something you won’t find in most freemium carts. A lifetime license. Built on solid source code with an extensive feature set available for paid plans, X Cart offers hosted and self-install options. Although the feature list is impressive, upgrading can be expensive – we’re talking $495+. For a store that’s performing well, it’s a decent option and considering the license is a lifetime one, it’s not a bad deal. You’ll need to manually code and use HTML to get the most out of this ecommerce option, but there’s ample room to customize if you’ve got the time or staff. They do have great design and development support along with hosting to make things easier for the less technical. Their enterprise edition is also worth a look. Theres also no transaction fees. 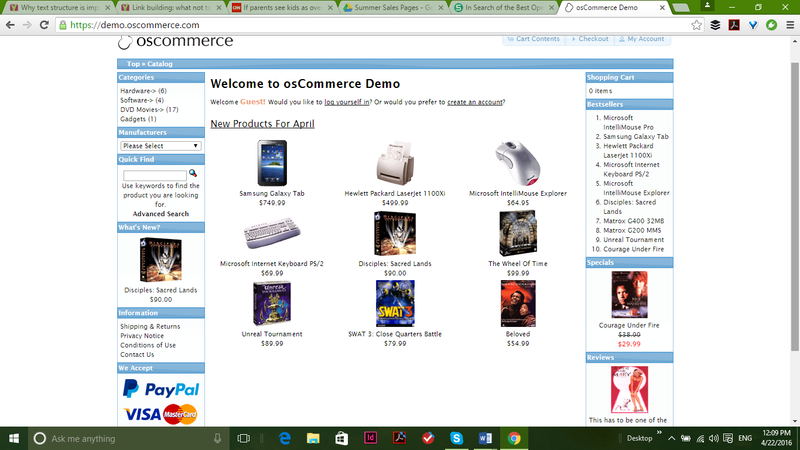 paGOCommerce is an open source platform from the developers at ‘corePHP‘. 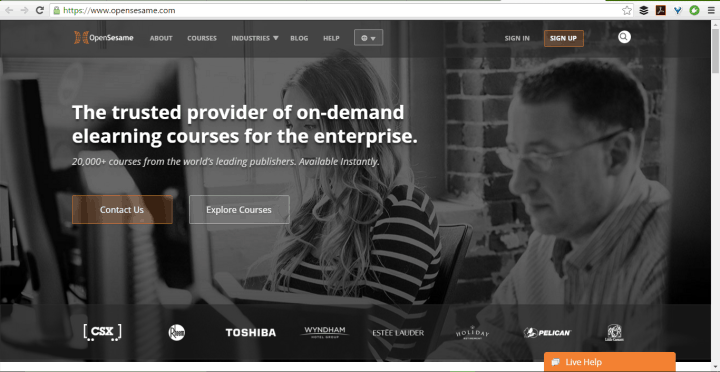 paGO Commerce is focused on the Joomla! ecosystem and has some powerful tools sets such as a comprehensive attribute system, paGO Quickpay for payments, robust coupon system, very simple and clean single-page checkout for higher conversion and so much more. Developers will love the extendability of the platform and how easy it is to make additions without core hacks. paGO Commerce is PCI-compliant and targeted to medium to enterprise-level deployments. paGO Commerce is the only open source commerce system built with real-time support in the backend to help you with your commerce needs. With more than 200,000 users, the Magento Community Edition is one of the most popular open source ecommerce platforms available. 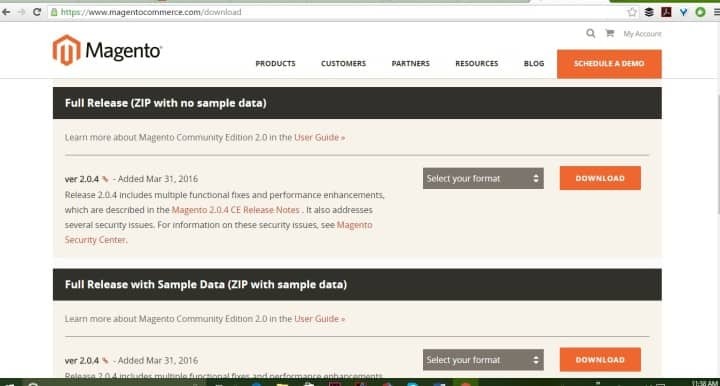 Although it isn’t as robust as the Magento Enterprise edition, the Magento Open source Community Edition is still a strong choice for ecommerce stores that are committed to the idea of an free platform. 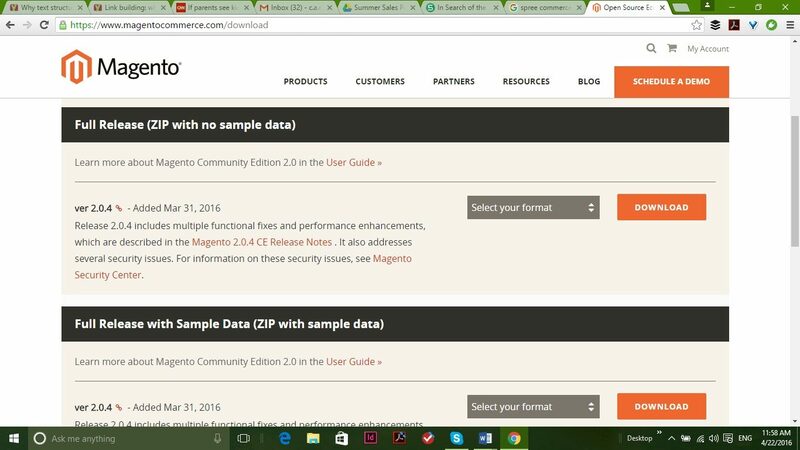 Who’s Using Magento Community or Magento Enterprise? 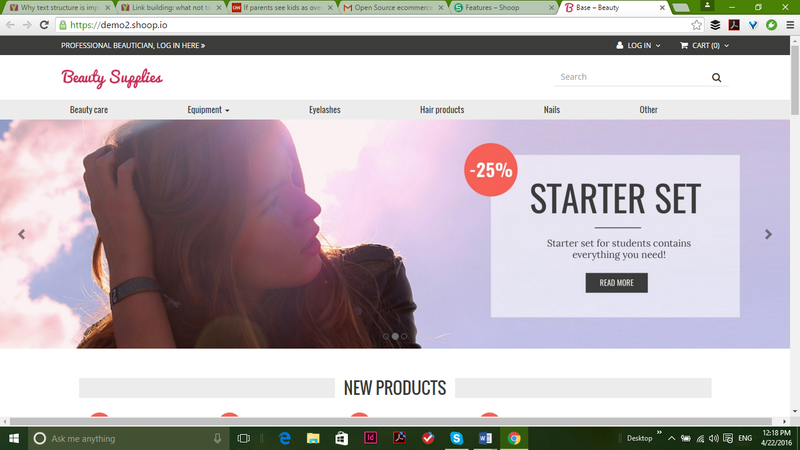 PrestaShop boasts that more than 250,000 stores use their ecommerce platform. The forum for PrestaShop has more than 850,000 members and customers include Zippo Lighters and Fashion Stork, among others. The popularity of this open source ecommerce platform extends to more than 200 countries and as a result, PrestaShop has been translated into 65 languages. 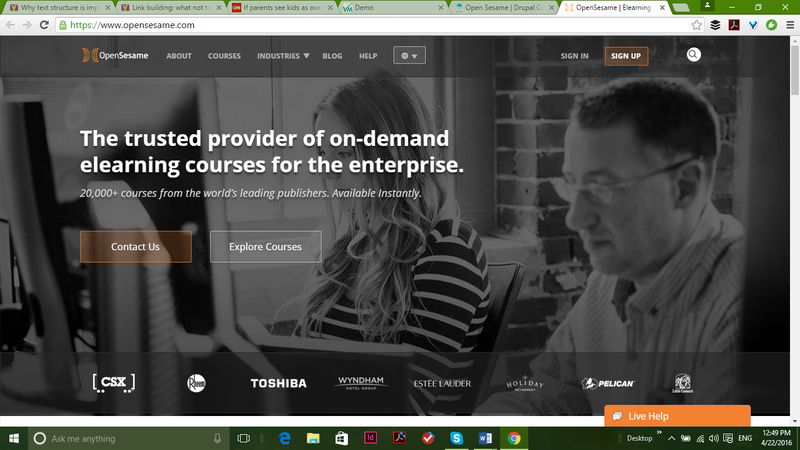 Well aware that appearances matter, OpenCart offers more than 2,700 themes. The platform is used by 576,862 ecommerce sites, but 4,841 of these are in the top 1 million sites on Alexa.com – not a bad number for a relatively small ecommerce platform. 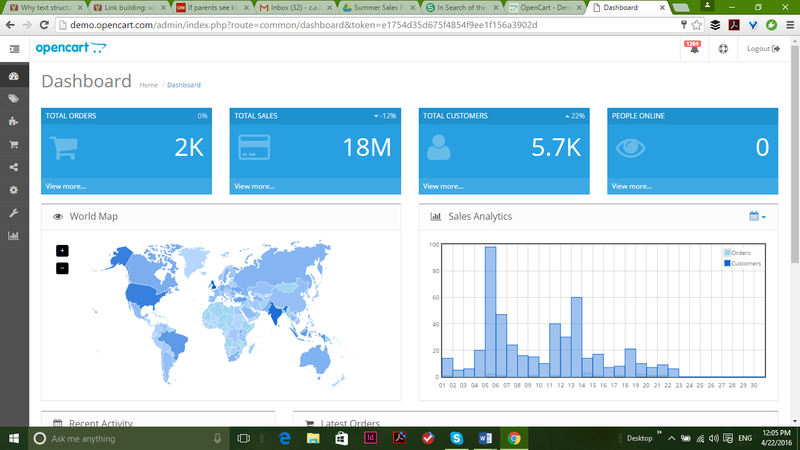 The OpenCart community is welcoming and very active. Although the platform was created in Hong Kong, the majority of users are in the United States. 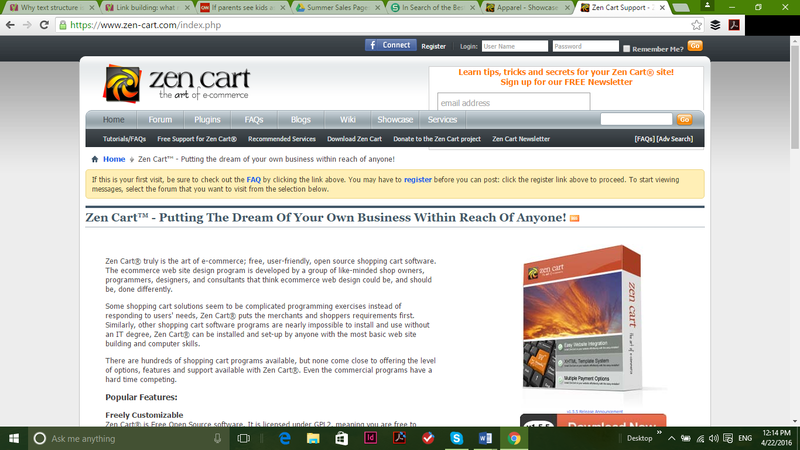 OpenCart is multicurrency, multilingual, and offers more than 20 payment gateways as well as eight shipping methods. One feature many OpenCart users enjoy is the turnkey nature of this open source ecommerce platform – there’s no need to mess with code at the start. 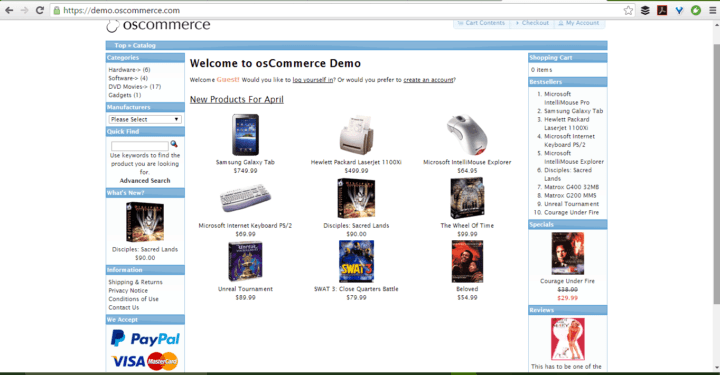 The frontend of this open source ecommerce platform’s demo feels a bit like a dated version of Amazon. After 16 years in business, osCommerce should be performing stronger in the market than it is – especially considering the availability of more than 7,000 add-ons and two spinoff projects that have claimed a strong place in the ecommerce platform field. Maybe os stands for old-school? Unfortunately for osCommerce, only 13,300 stores currently use this platform, despite an active community with more than 285,720 members and more than 1.6 million posts. In major need of an update, osCommerce has a loyal open source developer following but little ability to compete in the modern ecommerce field without some major changes. Originally based on osCommerce’s code, the two parted ways in 2003 when Zen Cart decided to place a heavier focus on templates. Today, this free ecommerce platform provides users with a 390+ page user’s manual and a host of features – not to mention more than 1800 add-ons in 16 different categories. The related community is large, too. There are more than 150,000 members in the Zen Cart community. 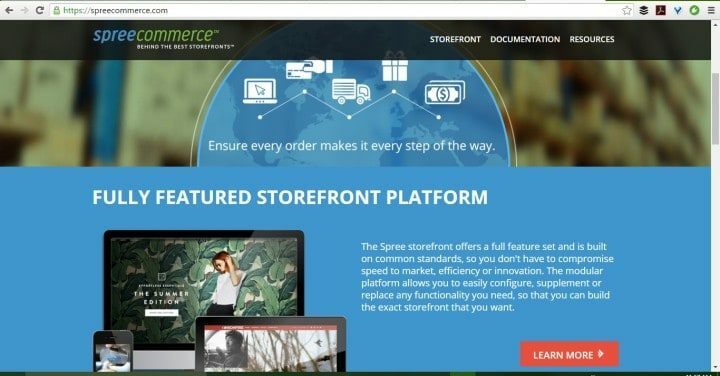 More than 45,000 stores are using Spree Commerce, and not just because it’s affordable. Feature-loaded and named a top 50 open source project out of more than 3 million, it’s visually appealing, modern, and the developer community is large and active. Based on Ruby on Rails, Spree Commerce is an ecommerce platform that developers will love but the tech naïve will have a tough time with. If you’ve got the coding knowhow or can afford a developer who does, however, this platform will scale with you. Popular fast-food chain Chipotle uses Spree Commerce, and the platform has been translated into 30 languages. Another WordPress ecommerce platform, JigoShop offers the advantage of having a backend most WordPress users will recognize and be able to navigate with ease. This WooCommerce predecessor has a smaller selection of themes than many of its competitors, but appears to be holding its own in the ecommerce space with 512,739 downloads. Access to community support isn’t free with JigoShop, however. It’s $40/month. The platform also charges for $35-$49.00 for its official themes, with the exception of Simply Jigoshop, which is free. Keep an eye on JigoShop’s site, as a major change is in the works. JigoShop has a new version in beta testing, complete with some much-anticipated changes. 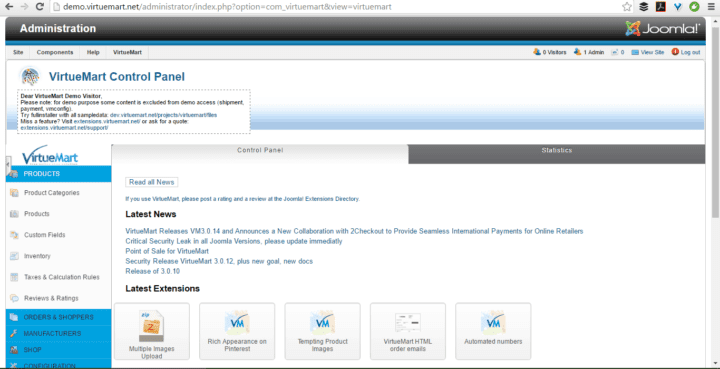 Designed for use with Joomla 2.5 and 3, Virtue Mart boasts more than 500 features, stores around the globe, and an engaged and active developer community. The platform boasts 348, 487 users, of which only 995 are in the top 1 million sites. The vast majority of ecommerce websites using VirtueMart are based in the United States or Russia. The core system of VirtueMart is very small, with only 3-5 developers working actively on it. On the other hand, input from the developer community is openly accepted and there are 316,371 members. 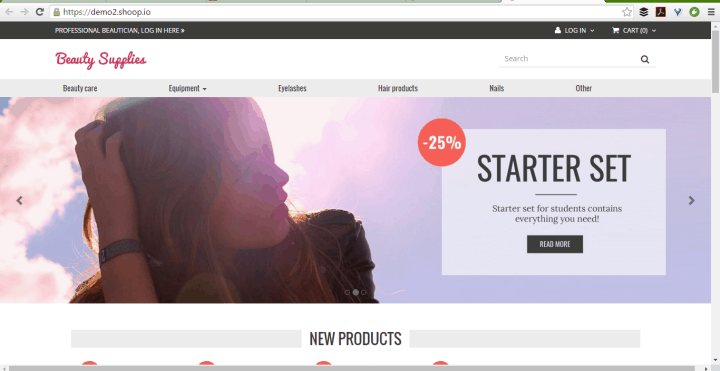 This open source PHP ecommerce solution isn’t a newcomer to ecommerce – VirtueMart is a German company that’s been around since 2004. The platform isn’t friendly to the nontech crowd – you’ll need a developer who is well-versed in the Joomla CMS system and PHP software to really be able to use this platform. It’s also easy to spend a small fortune on plug-ins and add-ons for this platform. Watch your wallet. 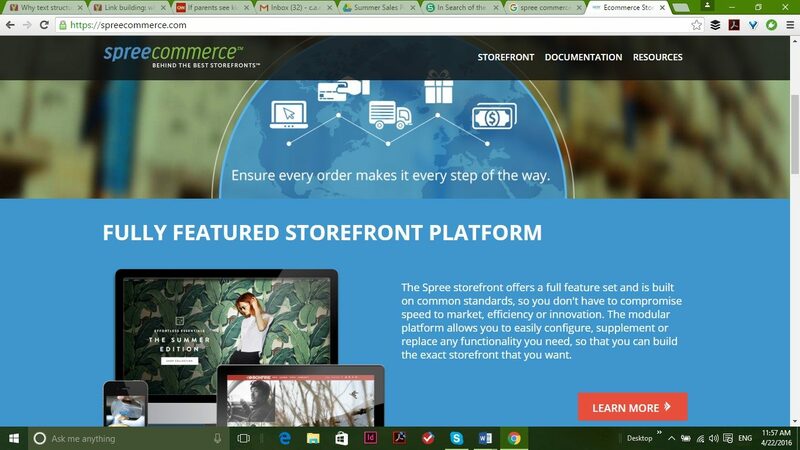 One of the most comprehensive open source ecommerce platforms available, Drupal Commerce was built by the Commerce Guys and offers multilingual, multicurrency, global functionality – making it the perfect fit for sits like Open Sesame, an e-learning language course provider. Drupal readily integrates with numerous third-party applications. 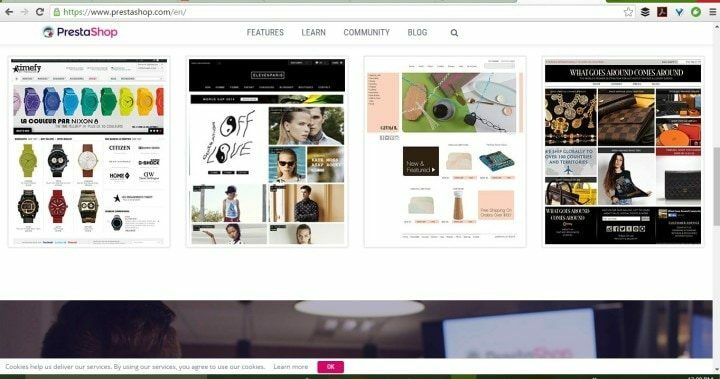 It’s currently one of the only ecommerce platforms built on a CMS (Drupal Content Management System), making it innately compatible with a strong content marketing strategy. Like many other open source platforms, it’s the support that will cost you – Commerce Guys offers Drupal Commerce application support is very expensive. That makes sense when you see their client list. Drupal Commerce is popular with large enterprises. The text is all custom prepared by you, so language isn’t an issue. You can use simpleCart js in any language. As a result of its lightweight nature, simpleCart js doesn’t offer many of the backend features you might be looking for. You’ll find the download and documentation on the simpleCart(js) site, but keep in mind that nothing has been updated since 2010. You’ll need to pop into developer forums or check out one of the many YouTube tutorials for this platform if you need any help. 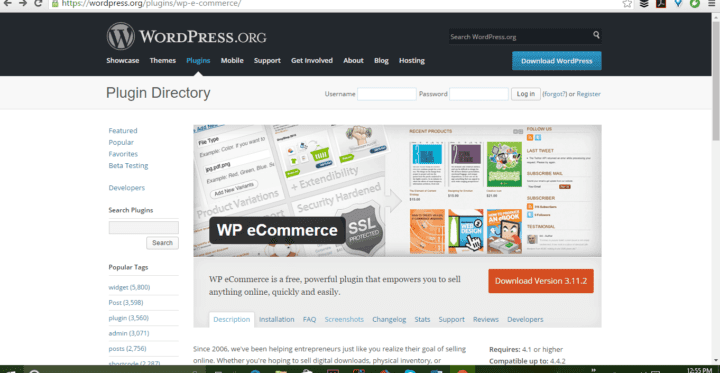 Yet another WordPress plugin option, WP e-commerce has been downloaded more than three million times and boasts the honor of being the “original” e-commerce solution for WordPress. 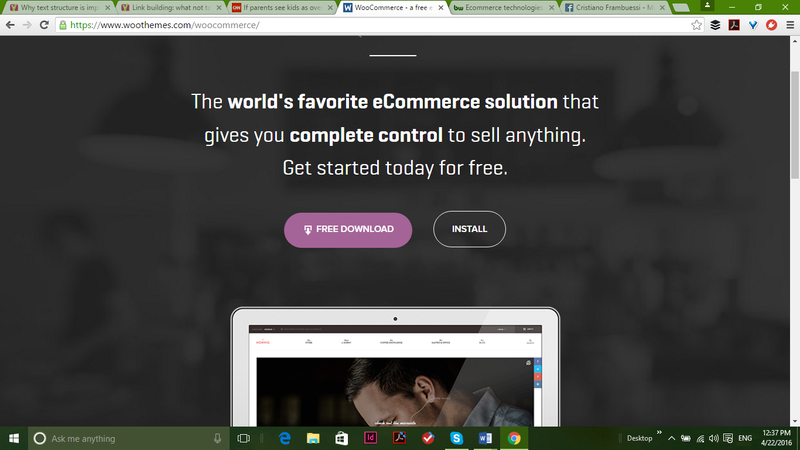 The coding for this open source ecommerce platform is relatively simple. If you can handle CSS and HTML, you’re good to go. You can pay the experts for a little extra support, or turn to the large community of users for answers to common questions. This open source ecommerce solution has been around for awhile, but they’ve never really topped the charts. Ubercart seems to stick in the top 30 ecommerce platforms by number of users, but generally towards the bottom of that list. 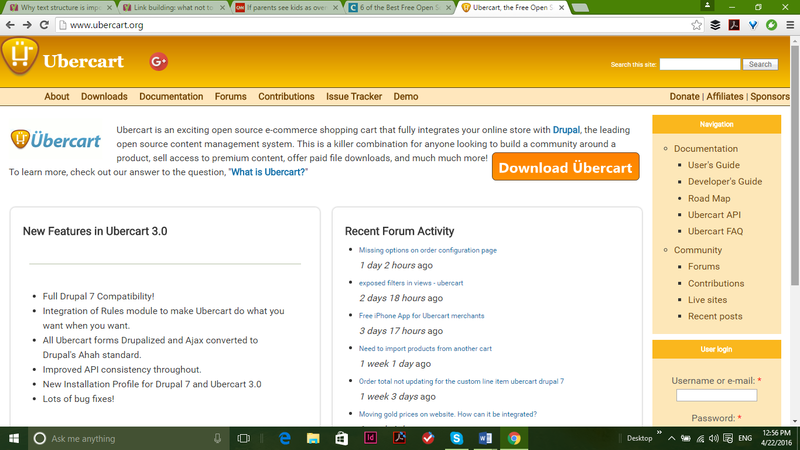 Although they keep thier ecommerce software updated, Ubercart’s forums and demos can’t boast the same attention to regular updating. 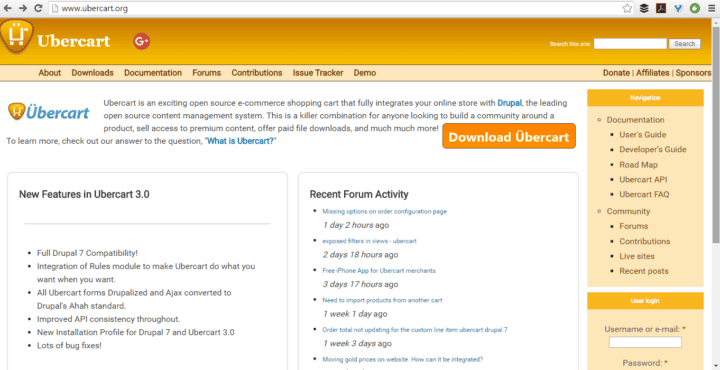 The demo site is currently redirected to a domain for sale page – trouble ahead for Ubercart, or a momentary lapse? You decide. Built to work with Drupal, Ubercart’s treatment of products in the cart can result in quantity, shipping, and tracking orders. In general, it feels like Ubercart is falling behind the competition. Although the learning curve is quick for this platform, it’s not a good option for medium or large stores. Zeuscart doesn’t hide their developer-centric nature. Land on the home page, and you’ll be greeted with enough acronyms to chase off anyone who isn’t an avid programmer. MySQL. PHP. GPL license. You get the idea. No matter how much programming knowledge you have, Zeuscart is a decent open source ecommerce solution. Their focus on the UX of their platform makes the platform less intimidating than many other open source options. Zeuscart was built with Bootstrap and is designed with small and medium businesses in mind. It is feature rich and marketing friendly, boasts a decent community, and offered free support for the first 30 days with paid support from that point on. This could have been an ecommerce platform worth watching. Unfortunately, the website and social media feeds seem to have been abandoned in 2014, although you can still download the ecommerce platform from the Zuescart website. 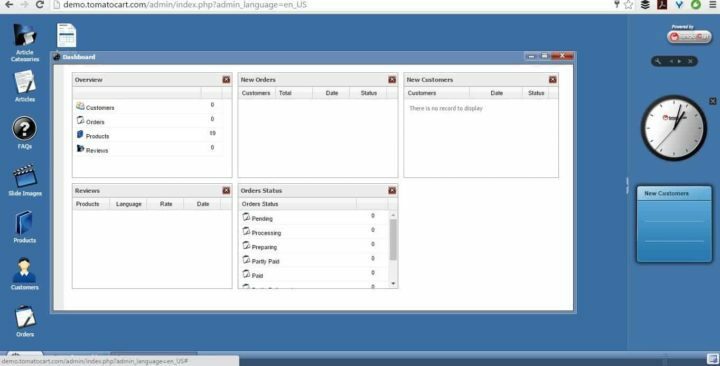 This MySQL based open source PHP ecommerce platform can run on Windows, Linux, and Unix, but has an issue with Macs. It’s not SEO friendly, has a bad rep for service and support, and doesn’t have a gift certificate feature or a low stock alert. In short, it’s not a platform we would readily recommend. 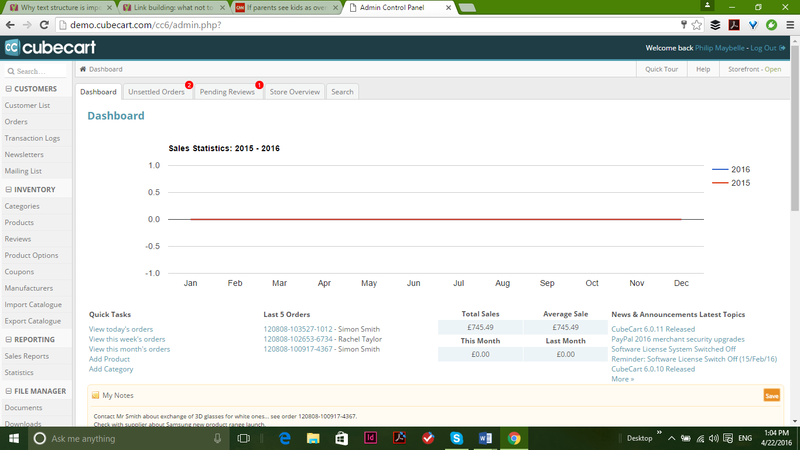 That said, AFCommerce has a few surprises, like a one-page checkout. 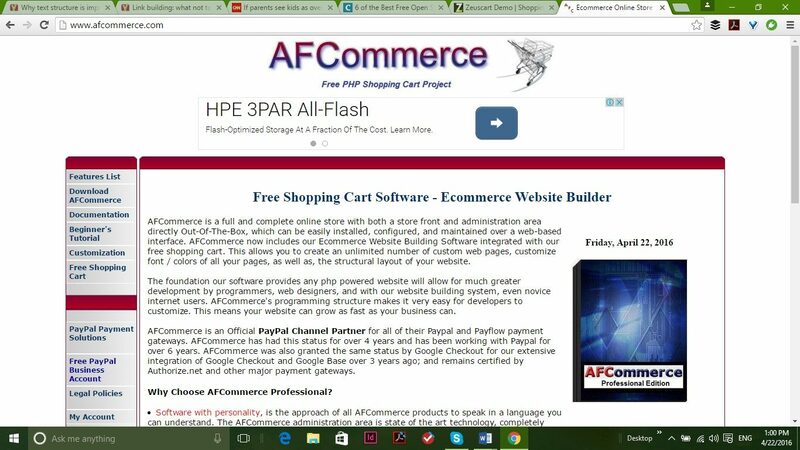 There is relatively no limit to what you can customize with AFCommerce, and it is a multilanguage option with the ability to integrate loyalty and affiliate programs. If you choose to go this route, make sure you’re ready for the amount of programming you’ll have to do (or pay to have done). 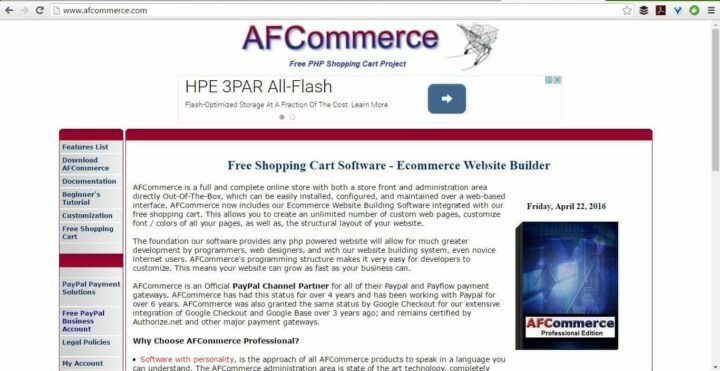 Despite the obvious issues with AFCommerce, it’s been around since 2007 and has been tested on over 250,000 ecommerce websites. It works well with multiple currencies and can display weights in metric and standard systems. Like Zen Cart, Tomato Cart owes its existence to osCommerce. Tomato Cart is an independent branch of osCommerce 3, and a popular one. 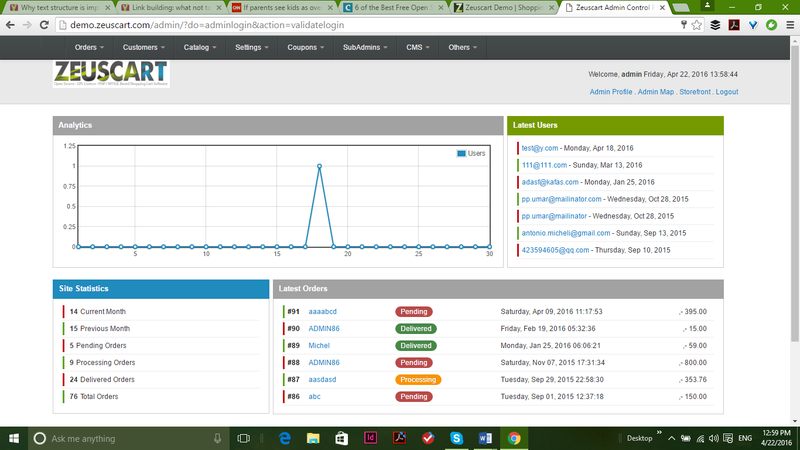 It can be completely customized, and includes a basic built-in CMS. Lightweight, TomatoCart loads quickly. 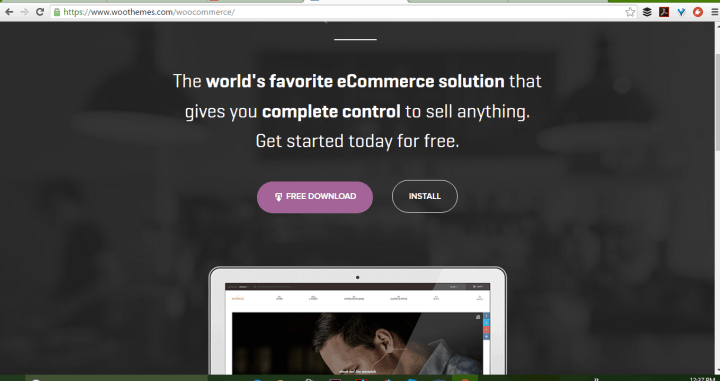 Feature-loaded, we’re betting that this an open source ecommerce solution to keep an eye on. Tomato Cart has conquered many of the problems other platforms face – it’s versatile, SEO friendly, content marketing ready, works with multiple payment gateways, includes multiple marketing features, and even includes a decent (not stellar) analytics program. 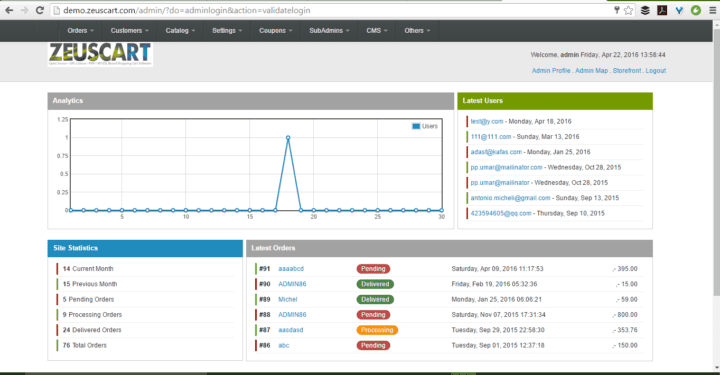 The admin panel tries too hard to look like a desktop, which can be a little disconcerting. Tomato Cart is relatively new, so there aren’t many extensions available yet, either. Shipping options are also limited. Don’t jump ship from your current cart to work with TomatoCart, though. You can play with all the features of their demo on the TomatoCart site to see if you like the feel and behavior of the platform. Definitely take it for a test drive if you’re curious about it. This British open source ecommerce solution is popular on both sides of the pond – in fact, they’ve got a decent following in many parts of the globe. CubeCart uses a 100% template-driven responsive skin to look good across devices. Great customer support, social media plugins, unlimited products, administrators, customers, orders…you name it. 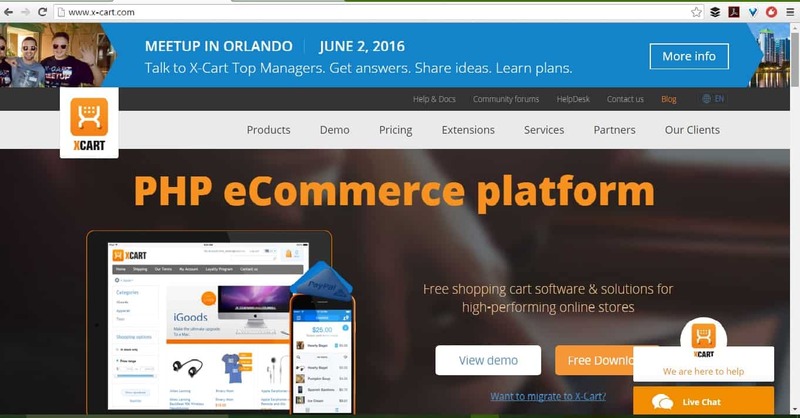 This cart is setting itself apart as a member of the new generation of ecommerce open source platforms. That said, it’s no Shopify or BigCommerce and you won’t be able to get phone support, although you’ll find live help on the site. CubeCart scales decently but is not equipped for large enterprises. It integrates with several common applications, such as MailChimp, but can’t compete with OpenCart for the number of third-party integrations available. 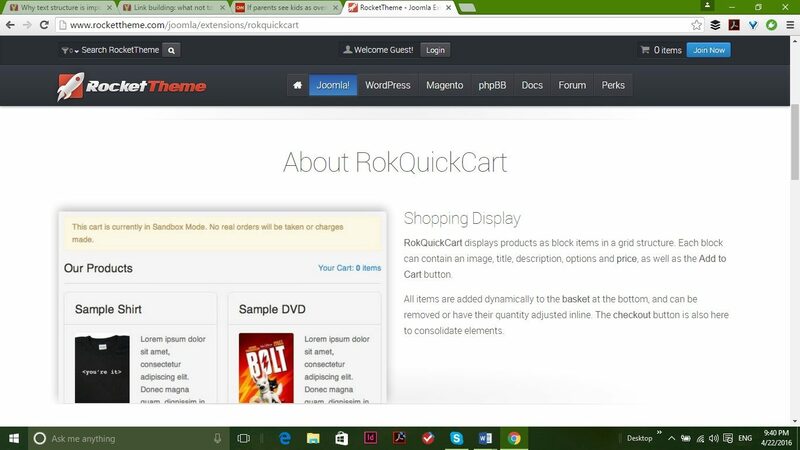 Ready to get to work immediately when you add it to Joomla, this shopping cart works with Google Checkout, Paypal, and Amazon to make running your online store easy. Products are displayed as blocks in a grid, and customers can choose the product they prefer, add it to their cart, and the software handles shipping and sales tax info for you. This lightweight option is similar to simpleCart js in function, and was created by the Rocket Theme team, so it wouldn’t surprise me to see a release for WordPress in the future. On the backend, the software is lightweight and won’t slow your loading speed. 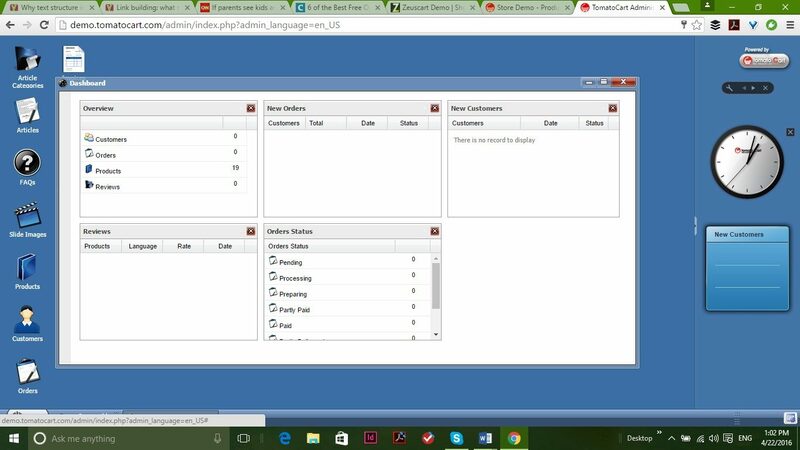 The administrative controls are intuitive and well designed, and you can control each item on the page and their configuration. 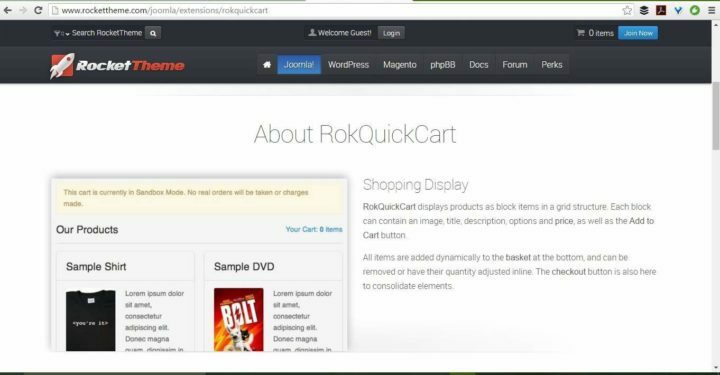 The RokQuickCart also lets you work with 23 different currencies. Shoop started as a project by a few web designers who wanted a better way to make sites for their clients, after realizing that the existing options weren’t that great. With offices in Finland and the United States, Shoop is an international platform with a focus on listening to the open source community of developers. Their current market share is largely Finn – it’s where the company is from. We’re curious to see where they are in a year or two. Version 1.1 of this platform launched recently, and version 1.2 is expected to hit the web any day. Built with Django and Python, your customizations of the platform are unlimited and even include the ability to work with multiple stores. The checkout process is also customizable, and you can integrate payment with Stripe, among other options. Designed to scale, marketing friendly, ready for SEO and content marketing, and built to meet the needs of a modern e-retailer. Shoop is off to a good start – here’s hoping they keep up the good work and grow this open source ecommerce option to the same strength and versatility as paid options. Is Open Source Ecommerce Really Free? Open source ecommerce solutions offer a wide range of features and complexity. Before choosing one, you need to be honest with yourself about your web developer skills and your budget to pay for support and help. Regardless of price point, however, an open source platform with an active developer community offers the benefit of a global community of people working to improve the software. At the same time, it’s usually the freemium plans that have a dedicated team of full-time developers and support. If you need help and you aren’t using a freemium open source platform with the option of paid technical help, you might find yourself in trouble if you come across a new bug in the code. Now that you’ve seen a sample of the web’s top open source ecommerce platforms, take a moment to think about them. Did one wow you? Go check it out. 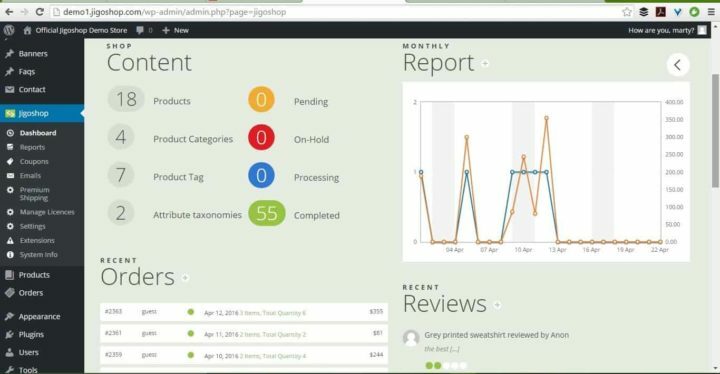 Already using an open source ecommerce solution? Tell us about your experience in the comments. If you have some dev skills, you should give X-Cart a try. And if you aren’t sold on open commerce, check out the list of top ecommerce platforms we mentioned at the start of this article. No matter what your budget is, you’ll find the perfect solution for your e-commerce site. Just remember to keep looking until you find the right mix of front and backend UX, features, loading speed, and scalability. I believe one of the best ecommerce store and it’s been helping a lot of young entrepreneurs very successful, and they are very often share their success story on Facebook. That’s so great. What platform are you talking about ? I wonder why oscommerce and zencart are still made top shopping carts in 2016. 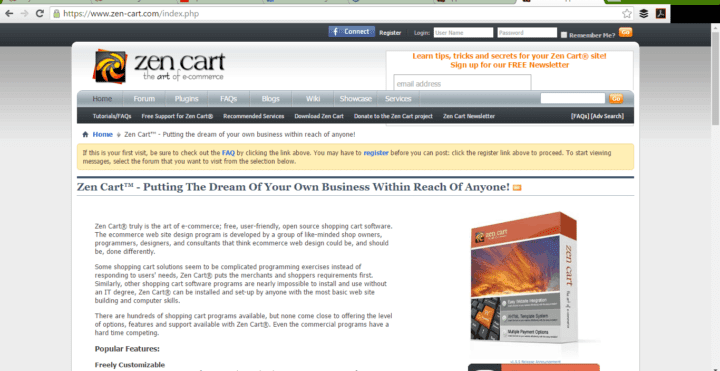 Missing abantecart in the list, and I would give woocommerce better top location. What is the best for dropship with xml feed of products to import into a website? I too preferred to go with Magento as I have already working on it and its giving me a quite a nice shot in eCommerce field and it’s free of cost. I have been managing flower shops for over 15 years. And during this time I tried many different open source systems. Unfortunately, no one of the free cms is able to fully meet the needs. The ideal option – to order a good programmer to write a store specifically for you, taking into account all the functions you need. But it will cost about $ 1000. 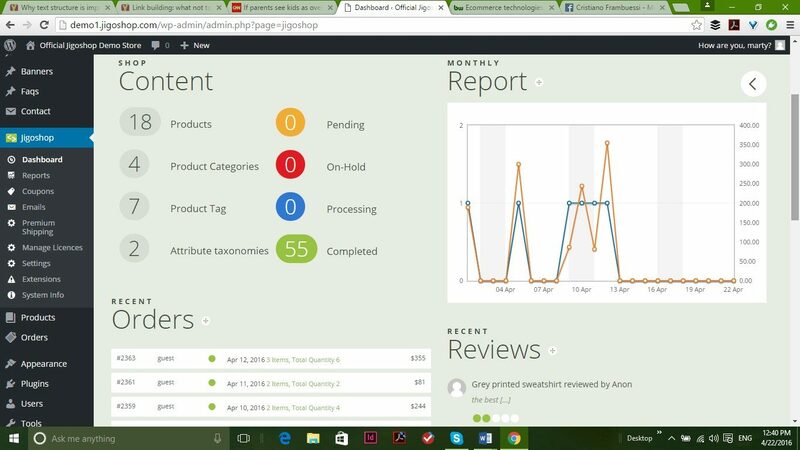 I have been using OpenCart for the last 5 years, in my opinion this is the easiest to manage system with a very large community. where you can find a programmer that will take a $ 1000 to build a website for you? I tried Shopify and feel it is a bit of a rip-off. You have to pay a monthly fee for every extra, where others include the basics. I am starting an ecommerce business and am wondering if there is a site for me to use as a platform for me. I am looking for something that is free. 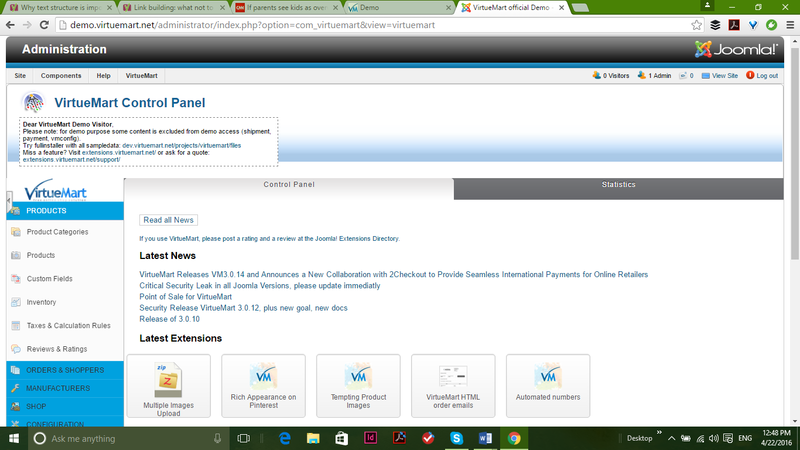 Tried wix but they seems to have charges if i want to have the function of customers paying by paypal or other modes of payment. After trying my hands in several free PHP based E-Commerce Platforms, I would strongly recommend anyone to go for Prestashop. It is 100% free with no hidden cost to setup a real online store with all real order processing and payment gateway support. Help is great. Though many paid modules are available, free modules are good enough to manage and run the eCommerce store for several years without need to spend a penny. I knew there were a ton of open-source e-commerce platforms out there, but I didn’t realize how many were free, though I gather some of them aren’t entirely free. I wonder how feasible it would be to build a customer data mining/analytics program into one of these open-source programs. I just can’t imagine a new e-commerce company today not investing in this type of resource, and I wonder which of these platforms would support a dynamic tool for CRM?